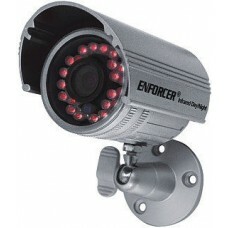 SECO-LARM offers a number of new IR day/night cameras, with two lens options, in silver finish. Equipped with IR LEDs, these cameras are for use in various lighting conditions. Made of die-cast aluminum with a unique weatherproof design with sunscreen, they are designed for indoor & outdoor applications. An adjustable bracket for wall and ceiling mount allows for fast, easy installations.